Well known for her work in the anime and tokusatsu English-dubbing industry, voice actress Corinne Orr sat down with the Tokusatsu Network to talk about her experiences during the boom of English-dubbed Japanese productions. 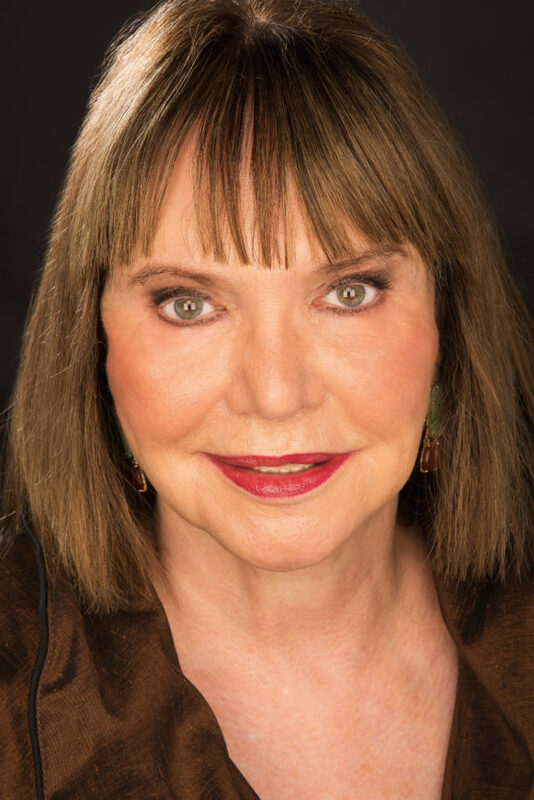 Corinne Orr lent her voice for several tokusatsu and anime productions over the years. Most notable for voicing Trixie in the Speedracer english dubs, she also was in tokusatsu productions such as Ultraman, Ultraman Tiga, Godzilla vs the Sea Monster, and more. How did you first get into voice acting? I was born in Montreal, Canada and we moved for five years to a little French town called Saint-Hyacinthe. And then I moved back to Montreal and I went to school. I was 5 to 6 years old and the kids in school called me ‘Frenchie’, cause I had a French accent. So my mother put me into elocution lessons, and somehow I got into children’s theatre. And children’s theatre was just great, because I played all kinds of silly animals, and fairies, and princesses, queens, kings–A variety! A tremendous variety. I think that’s where the ability to change my voice came from. Did you do any special training or classes for voice acting starting out? Yes. Everyone I know who does voice acting had theatre training. Everyone. I don’t know one person who did not. I studied with well known teachers for years and years… And I’m a good dramatic actress. I was in the Shakespearean company, I’ve done a lot of theatre. I came to New York, you know, after Montreal, I came to New York. I was…about 20? And I ended up dubbing at Titra Sound. We dubbed most of the cartoons there. Could tell us what it was like to do English dubbing for Japanese productions like Ultraman? Oh, It was great fun! I worked with a similar group–I knew all the actors I worked for and they were simply wonderful! And extremely talented. Very talented people. And we got along beautifully. And you’d give it your all…you gave tremendous energy! That was the secret: Giving energy! And when we dubbed, we had to match the lips of the Japanese characters. So we only did two, three lines at a time. And we tried to match the lips exactly. Now, they have technical stuff which is quite wonderful, and they can do it easier. But we really had to, I had to learn it. It was not an easy thing to learn. And you did one or two lines over and over ‘til you got it. Sometimes we got it on the second take, sometimes on the tenth. It’s nothing now, now it’s easy. Yeah, but that was difficult. Are there any memorable or funny moments from any of your roles you can share? Yes! I was dubbing with this actor and we’re at the microphone and he took a sip of coffee. I thought, ‘that is so sophisticated.’ So I took a sip of coffee and spilled everything all over me, the script, the floor! I made a complete, utter mess. It was funny. It was pretty funny. And then one day I brought ice cream, I treated everyone to ice cream cones. Well, that’s a very stupid thing to do. Because the cones melted. And we’re all covered in ice cream. So that was not very smart. And, one day I was doing a very crazy character with a weird voice and, my tongue–I did a lot of work on that one character so my tonsils started to bounce. That’s the only time in life that’s ever happened. They kept bouncing and I was freaking out! And I ran to a doctor the next morning and he said, “Keep your mouth shut and be quiet! Don’t speak for a day.” And then I never had it again. And I find, when you act–Never take cough drops. You have little hairs at the back of your vocal chords. If you take cough drops, it flattens them. So what you do, and this is a very bad habit I got into, I keep it up til this moment: I eat hard candy. It’s very good to relax the throat. Never cough drops, just hard candy. Any kind. What would you tell those who want to get into voice acting? I would say: Take drama lessons. Study hard as you can, try to do different voices. Children’s theater is wonderful. You could imitate cartoon voices on your own. And then, if you wanna really get in, you’ve got to remember it’s a business. And you have to join a union, and an agent but that is not easy to do. Believe me, it’s very hard. So, when I did it, I would send postcards and the things to the agent. I think now you send videos. I’m not very aware of technically what to do. But you have to send them videos, and let them hear your voice and get a picture or two of you. Mail the pictures and tapes, that’s what I did. And just keep at them, and find one who’ll relent, and magic will happen! Disclaimer: I know Corinne. Over the decades I have always found that she has a deep wealth of knowledge and wisdom about her trade that she generously shares. She has been honoured and awarded and is a great treasure.